Aimee Bahng is author of Migrant Futures: Decolonizing Speculation in Financial Times (Duke University Press, 2018) and co-editor of the “Transpacific Futurities” special issue of Journal of Asian American Studies (2017). She has published articles on transnational Asian/American speculative fiction and financialization in Journal of American Studies (2015), Techno-Orientalism (Rutgers University Press, 2015), and MELUS: Multi-Ethnic Literatures of the U.S. (2008). Her second book project, Transpacific Ecologies, is currently underway, bringing decolonial, queer and feminist thought to bear on the environment, knowledge production, and dis/ability at the site of the Pacific Ocean, which has long served as a proving ground for scientific experimentation and biopolitical securitization. Dedicated to collaborative intellectual production, Bahng is the recipient of innovative research and teaching fellowships from the Five College Women’s Studies Research Center, EnviroLab Asia, Dartmouth College and the University of California Humanities Research Institute. 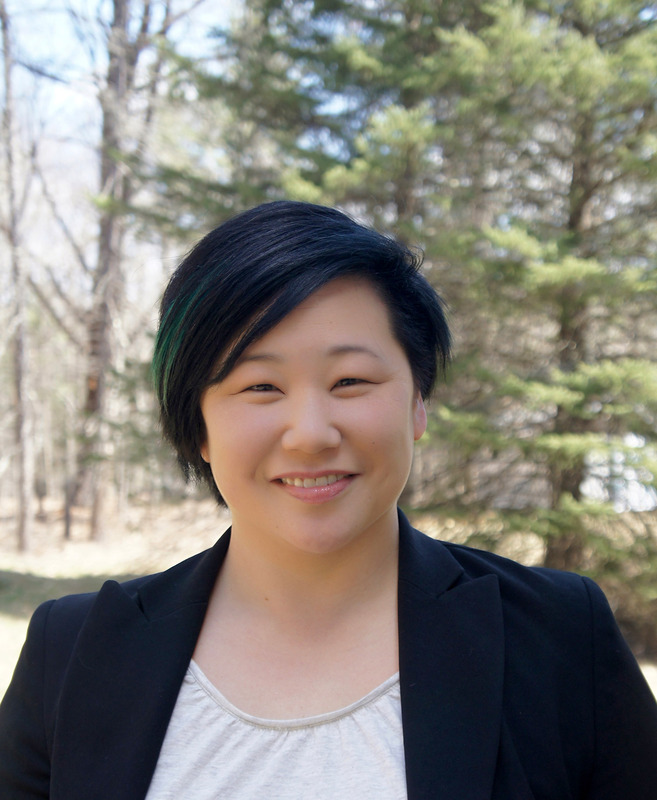 Her primary research areas include queer and feminist science and technology studies as well as transnational Asian/American and transpacific studies. She teaches courses that emphasize decolonial and intersectional approaches to gender and sexuality studies. Migrant Futures: Decolonizing Speculation in Financial Times, Duke University Press, forthcoming March 2018. Commons,” in The Queer Feminist Science Studies Reader (Seattle: UW Press, 2017): 310-26. Futurities 20:1, special issue, eds. Aimee Bahng and Christine Mok (February 2017): 1-9. Goldthree, in Radical Teacher: Teaching Black Lives Matter, eds. Christopher Kennedy, Robyn Spencer, and Paula Austin, v. 101 (Fall 2016): 20-26.
and Annie McClanahan (Fall 2015): 663–83. Rutgers University Press, 2015), 163–79. “Extrapolating Transnational Arcs, Excavating Imperial Legacies: The Speculative Acts of Karen Tei Yamashita’s Through the Arc of the Rain Forest,” MELUS: Alien/Asian 33:4, ed. Stephen H.